I know this sounds weird. 100% fully aware. 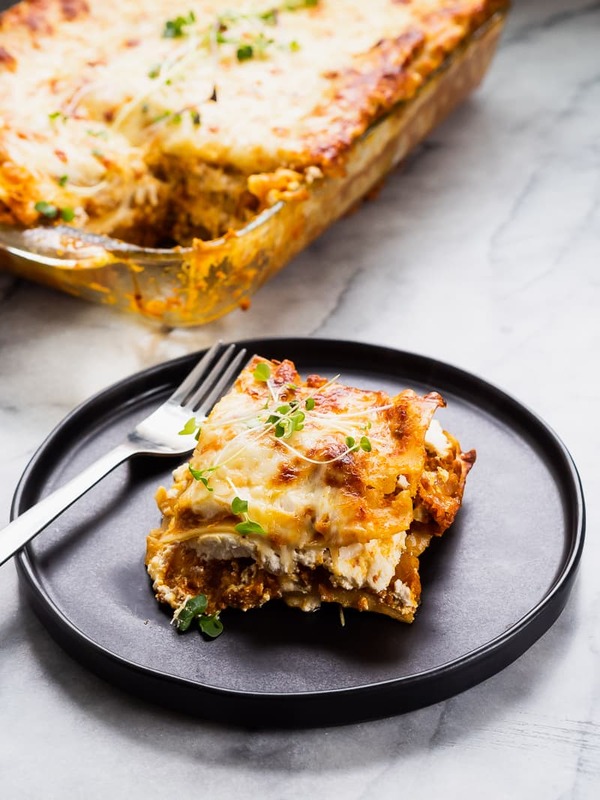 Pumpkin + chorizo IN LASAGNA!? Yeaaah… I’m not sure how we got here, other than sometimes my brain says “oOoh try this!” and I listen. Tbh, this was freaking delicious. 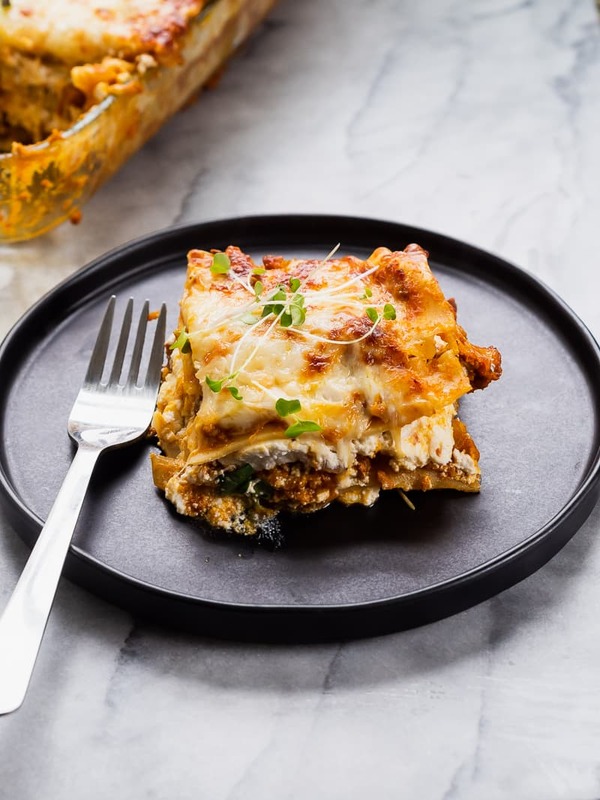 You all know I love chorizo, and I admit that chorizo flavor kind of dominates any dish it’s in, so this lasagna is basically a chorizo show. You can totally taste the pumpkin in there, but I intentionally left out other spices because I thought it’d be pointless. ALSO, would you believe that this is the FIRST lasagna (and only) I’ve ever made!? I’m kind of hooked now — I definitely see the allure. And love the end-product. Maybe I’ll go for a more traditional one soon… maybe! 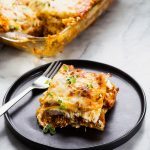 Anybody have favorite lasagna flavor combos to share? Made this last night and it was amazing! We’re vegetarian, so I used soyrizo, and I did have to make one other adjustment. My sauce was much too thick to spread in thirds, and I ran out on the second layer. Luckily I had a jar of Tuscany Pumpkin pasta sauce, so I added that into the second layer and used it exclusively on the top. I think it may also have been fine to add something like veggie stock to thin the sauce out a bit, but I didn’t have any on hand. 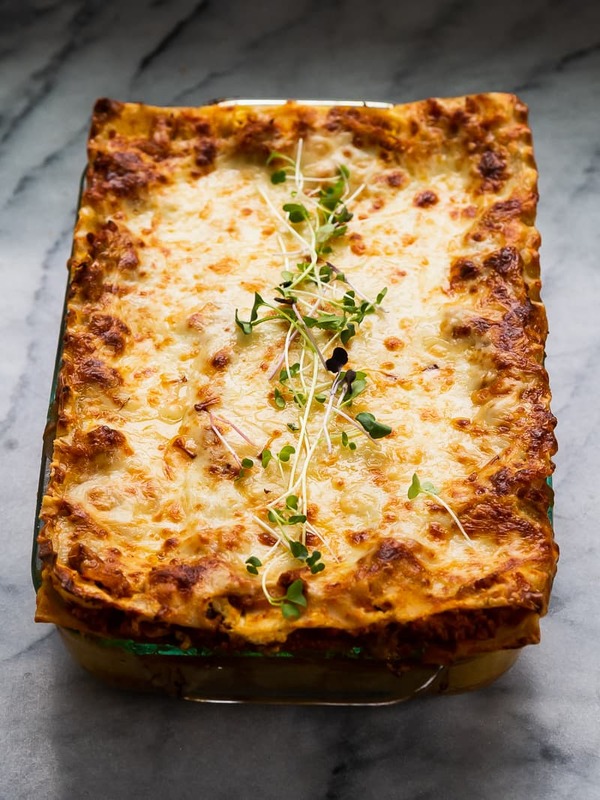 This was my first attempt at lasagna and it was really very easy. Bonus: my bf, who doesn’t even like pumpkin, raved about how good it was, and insisted I could make it for him any time. I will definitely make this again.